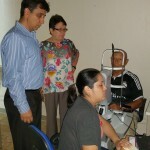 This project has been made possible by a grant from Allergan Foundation. 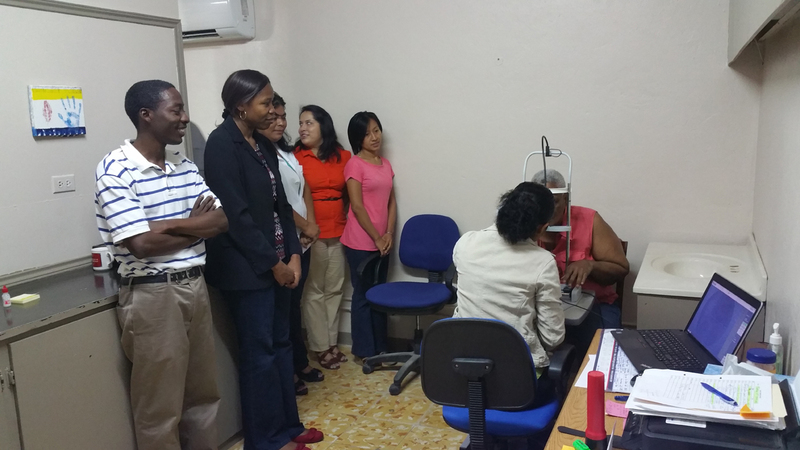 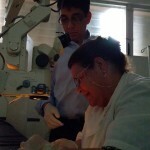 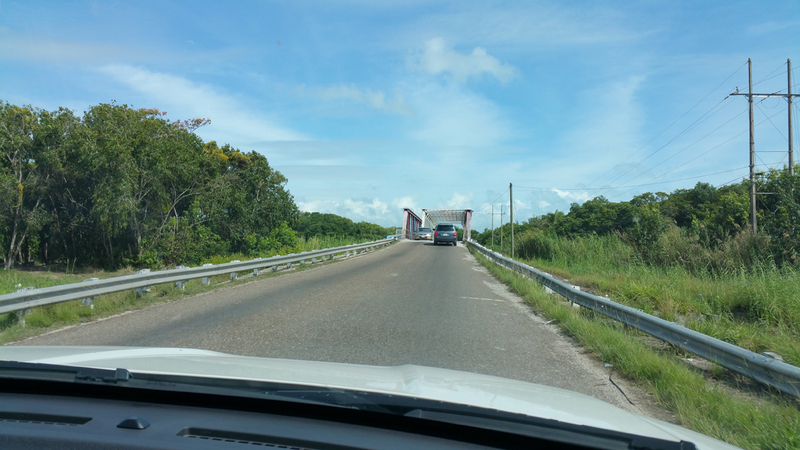 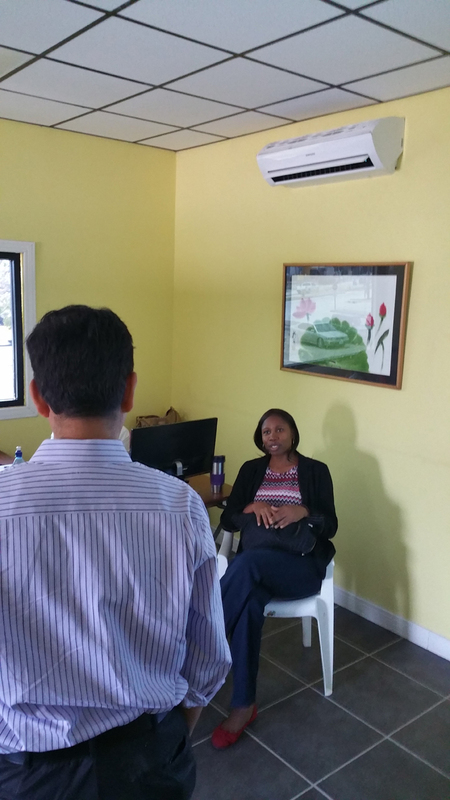 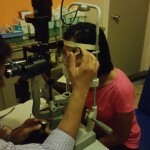 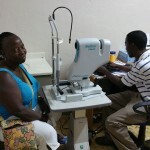 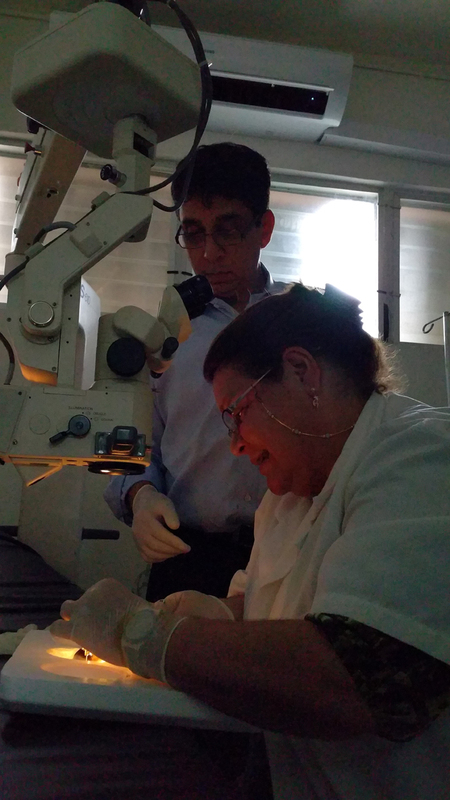 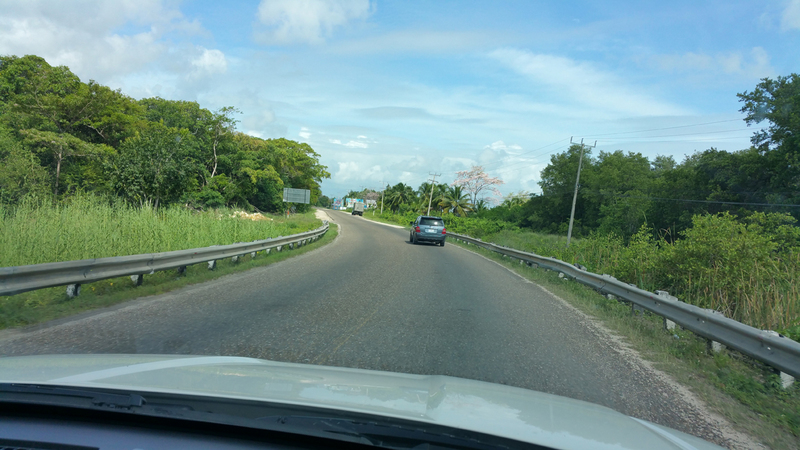 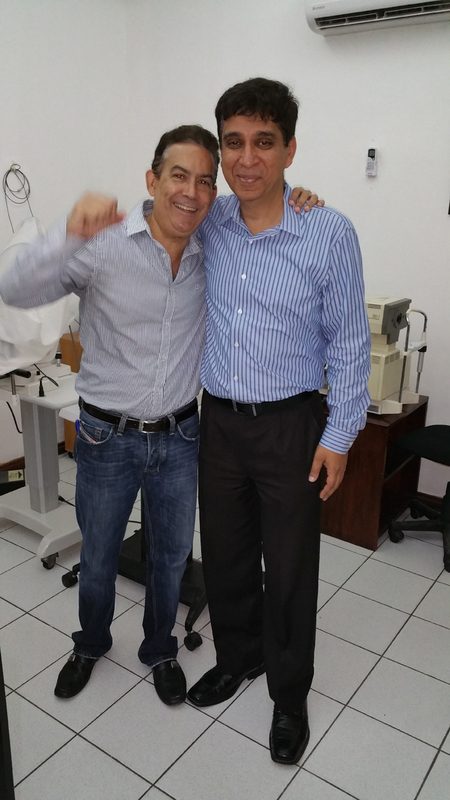 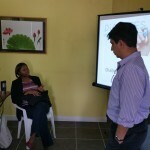 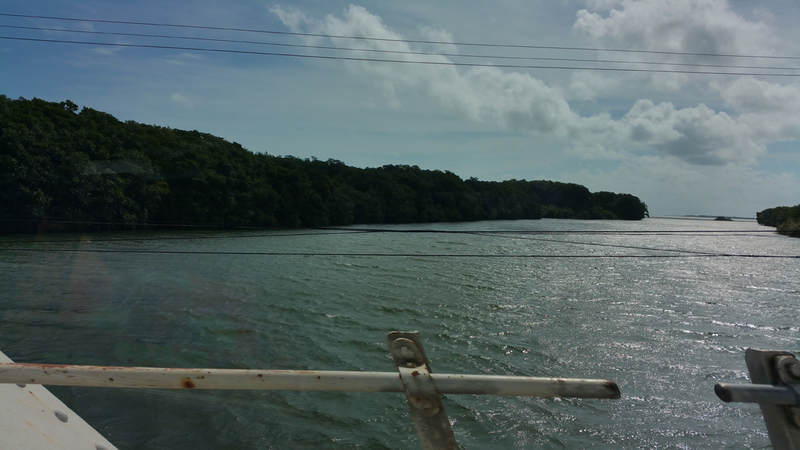 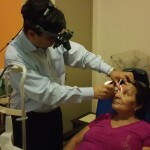 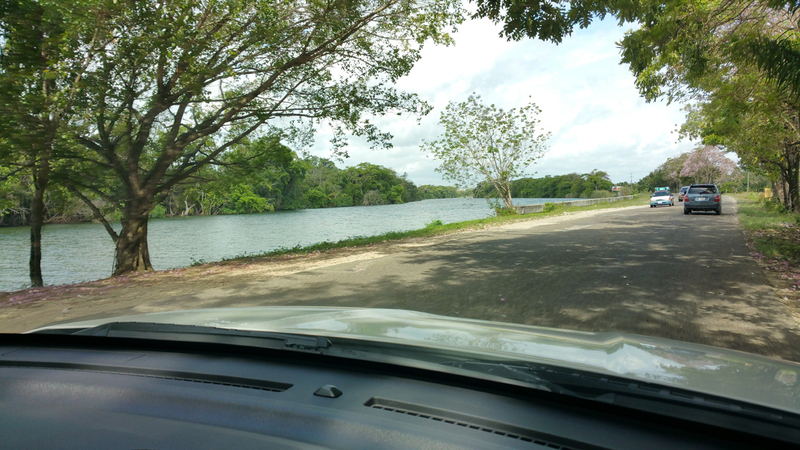 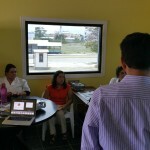 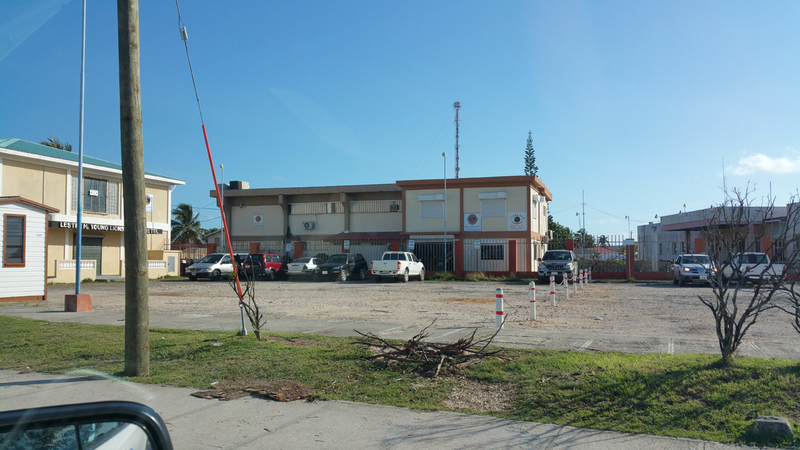 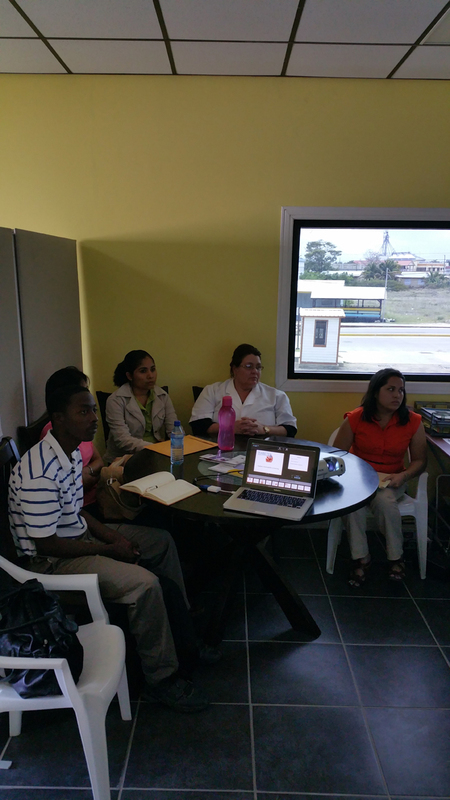 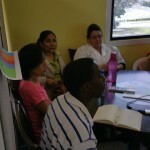 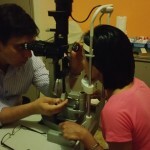 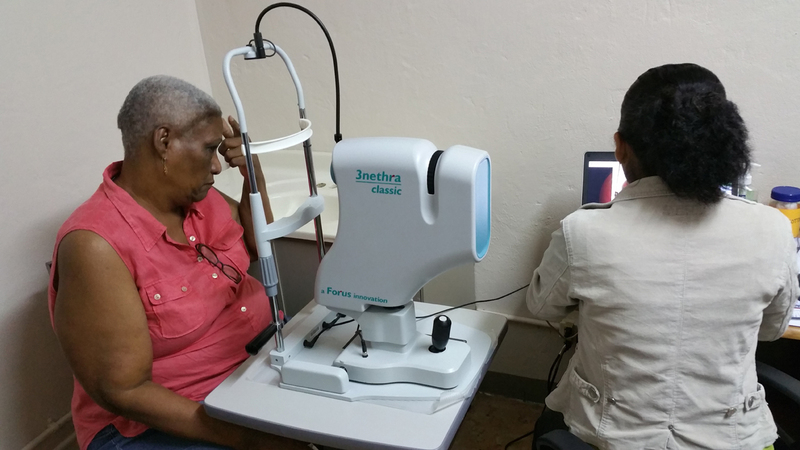 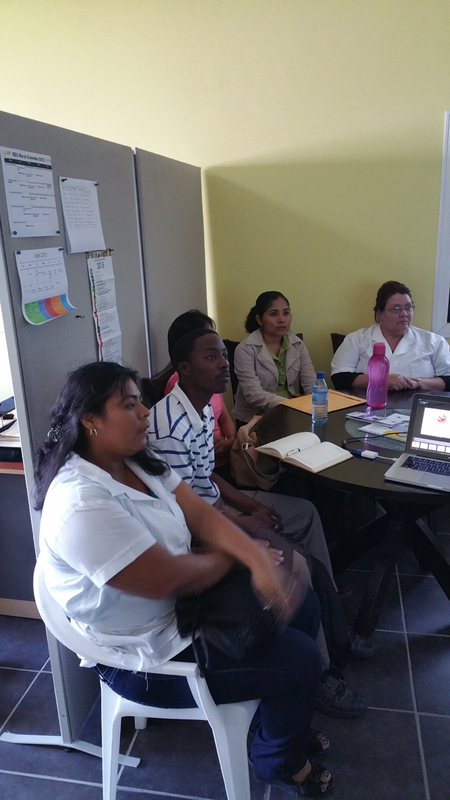 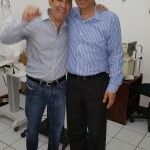 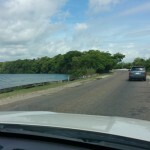 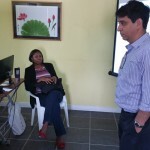 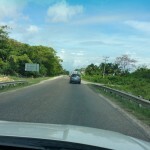 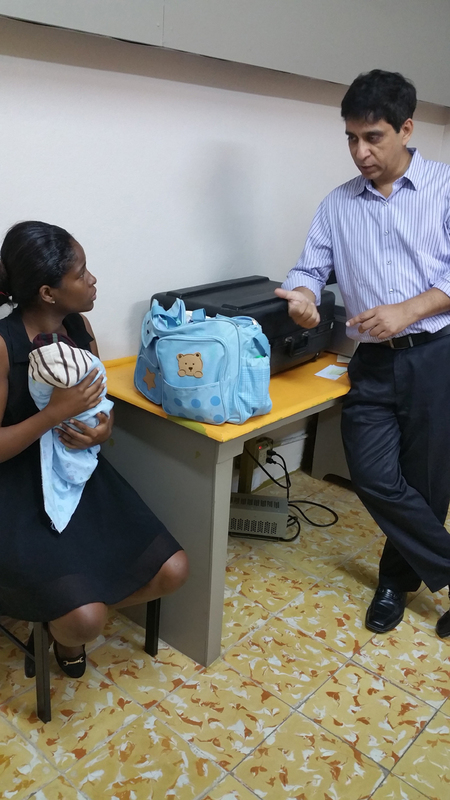 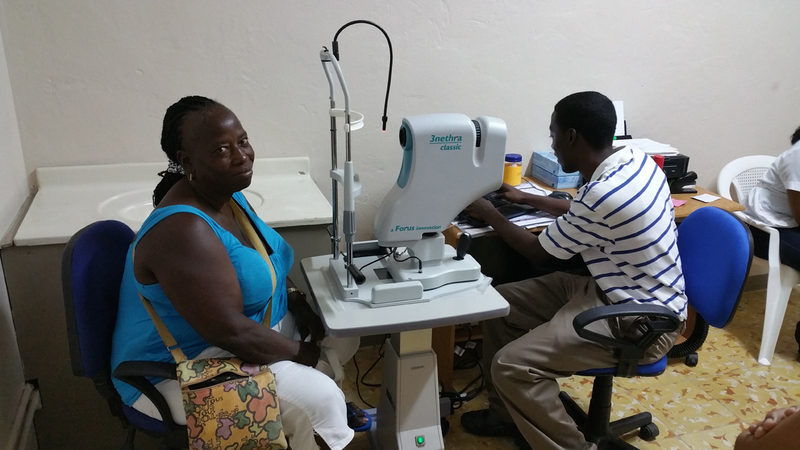 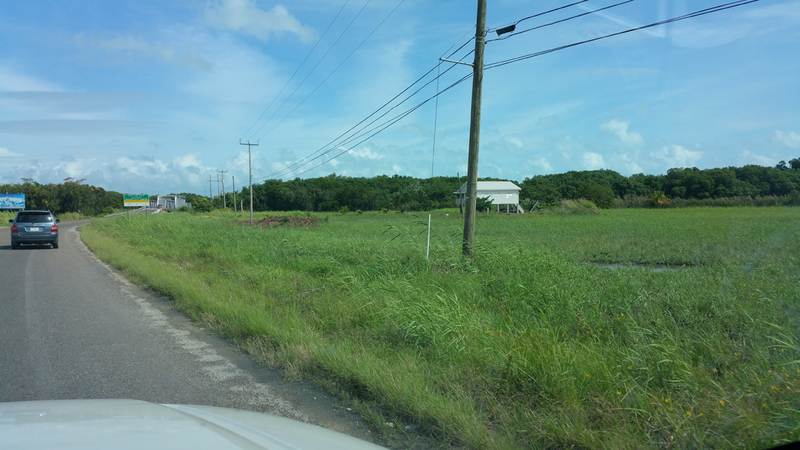 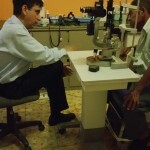 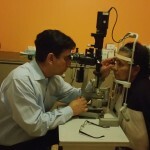 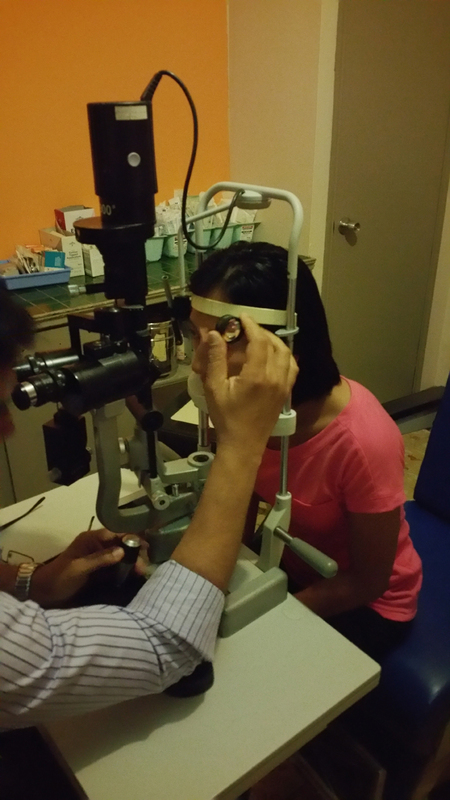 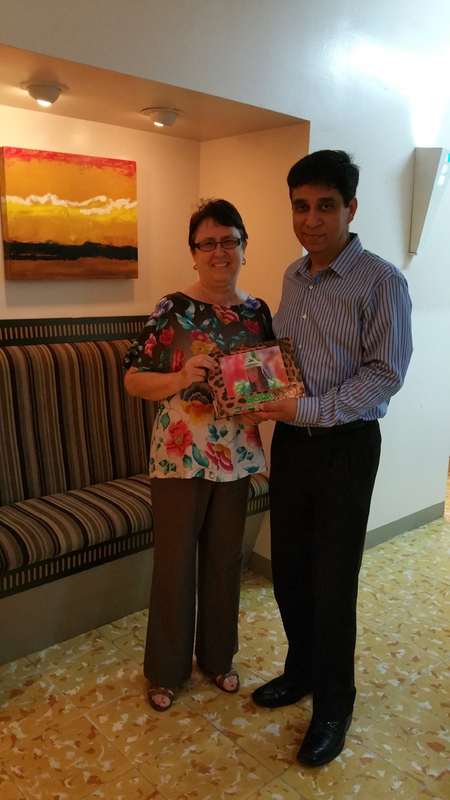 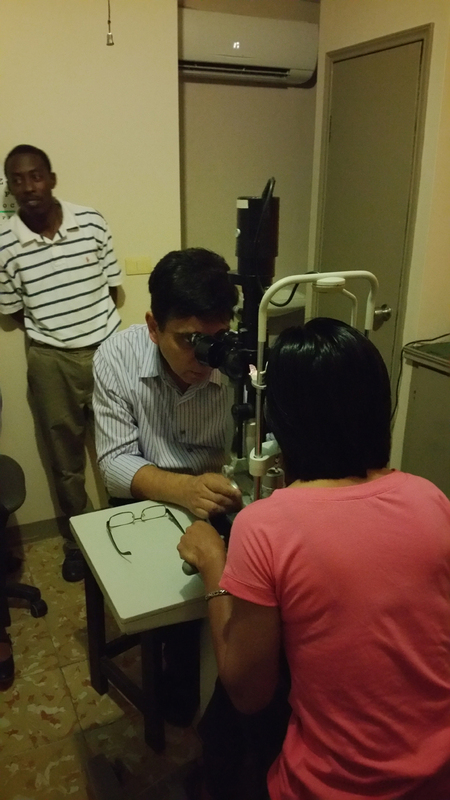 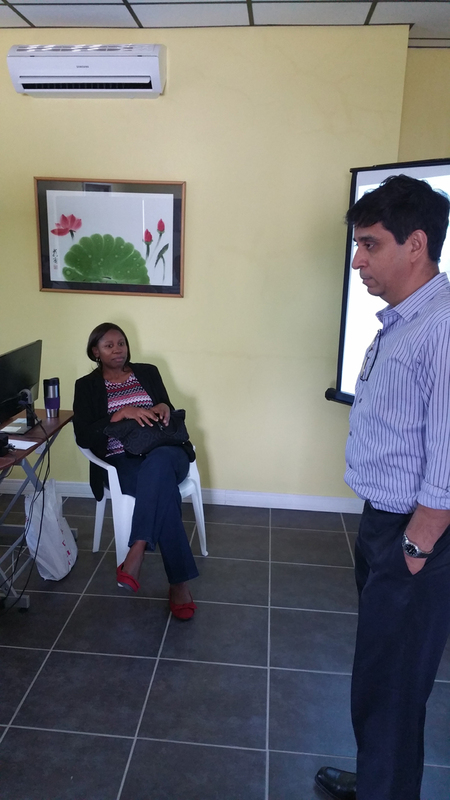 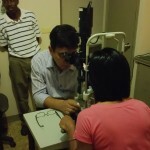 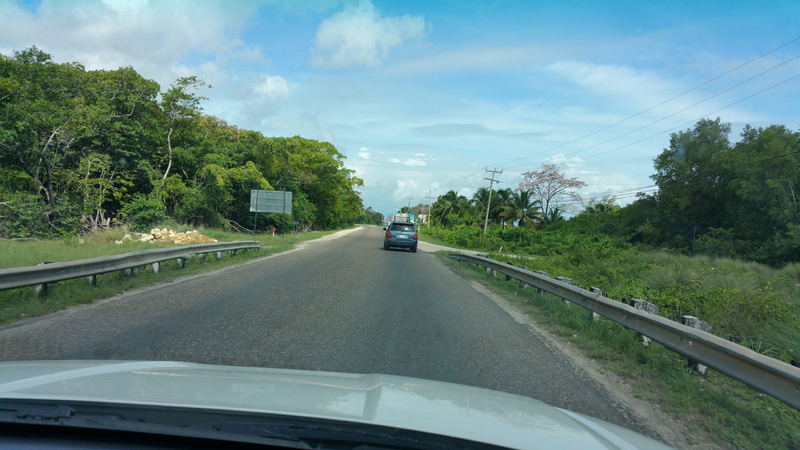 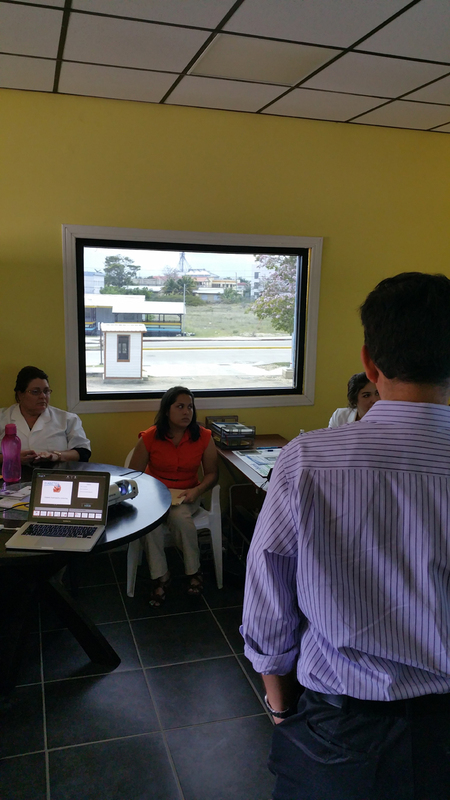 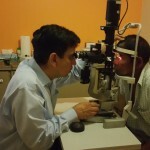 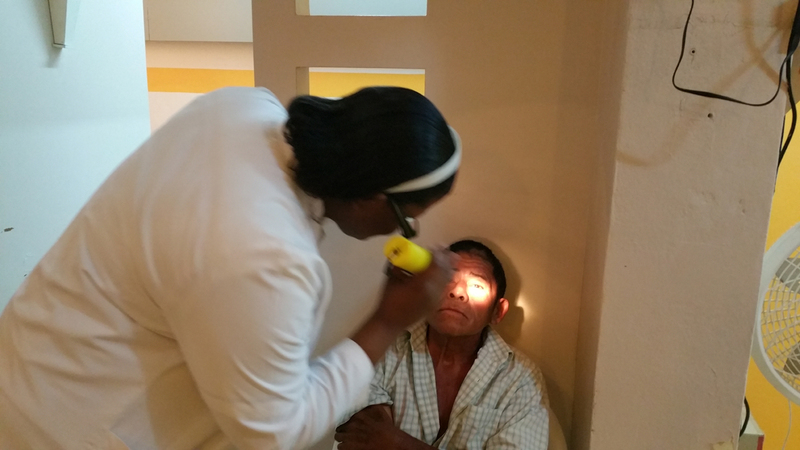 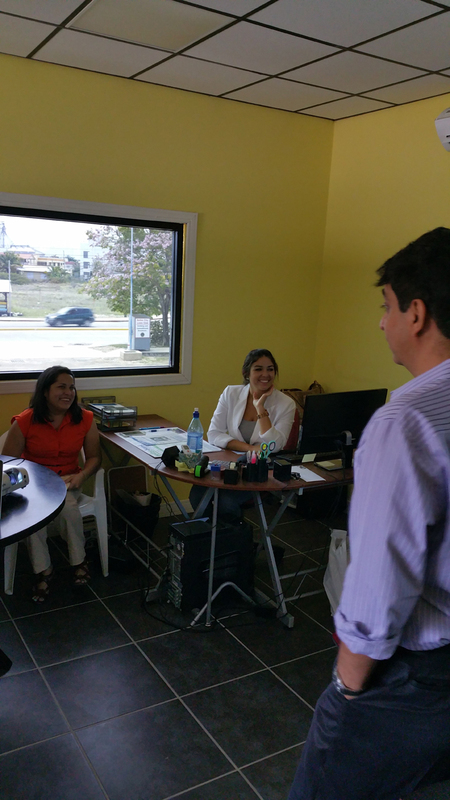 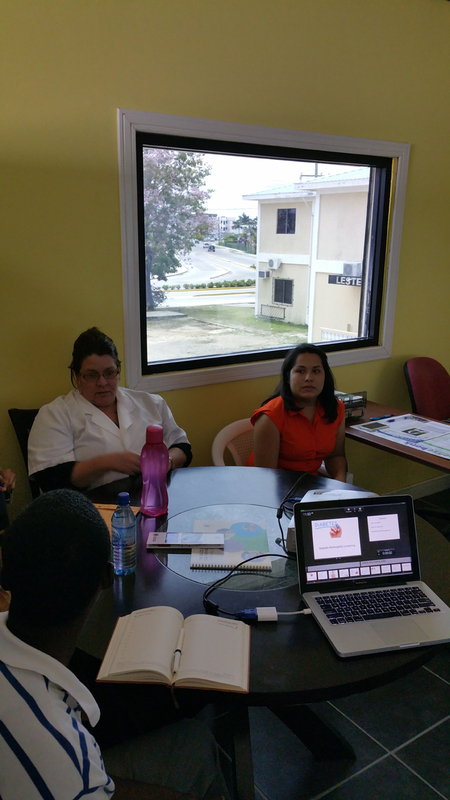 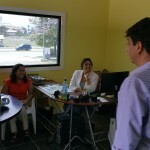 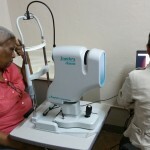 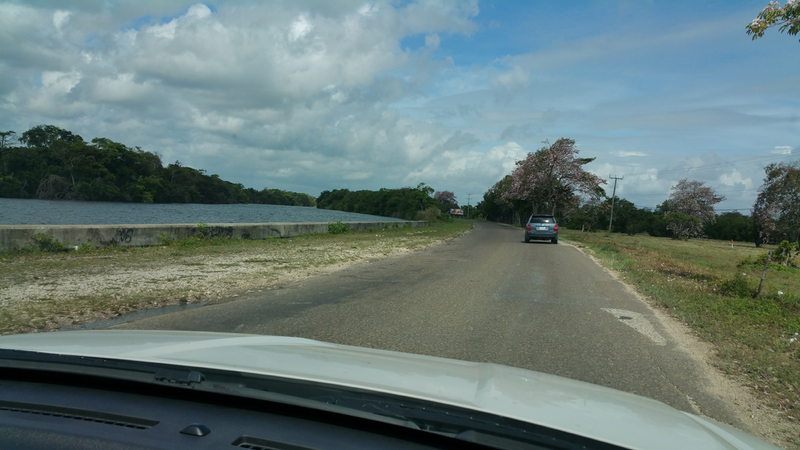 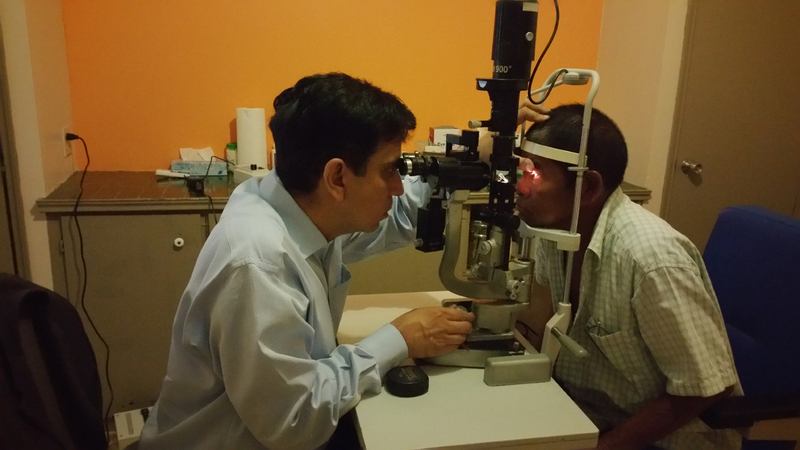 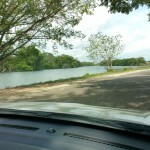 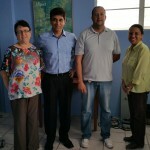 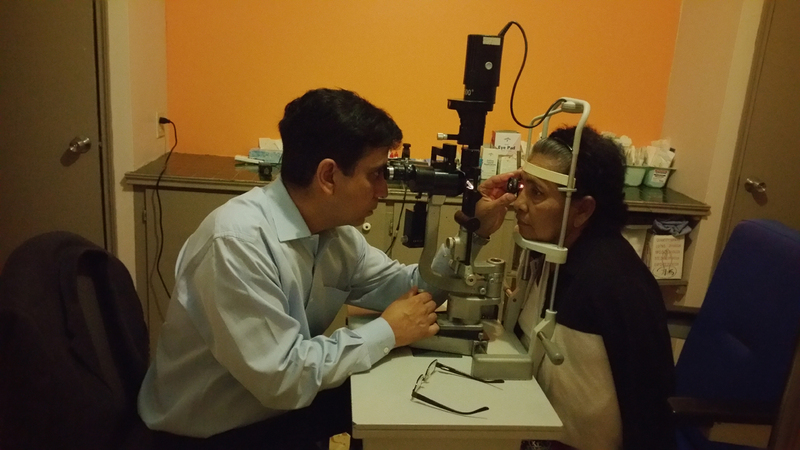 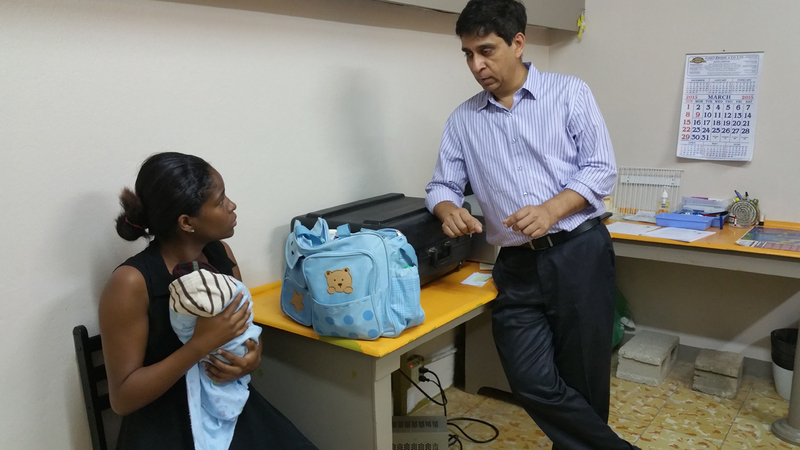 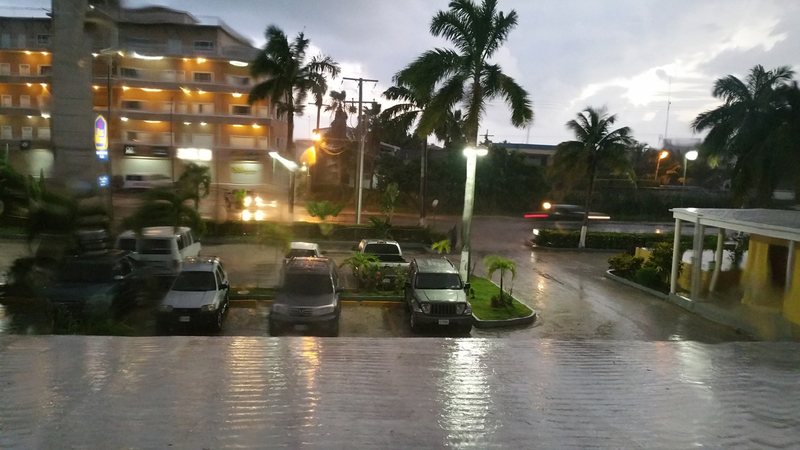 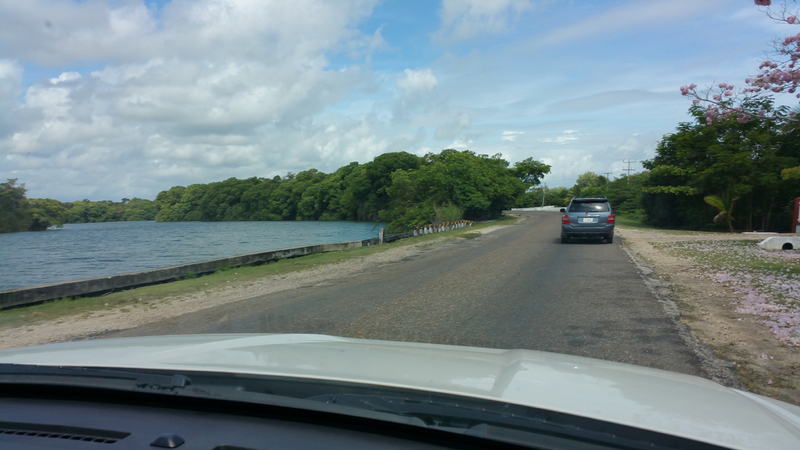 Our CEO, Dr Raj Agrawal, visited Belize from Mar 30 to Apr 2, to evaluate retinal patients and offer treatment. 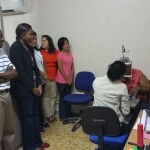 He also gave lectures to optometrists and other staff in diabetic screening, as well as discussed details of the diabetic screening program that he is helping BCVI with. 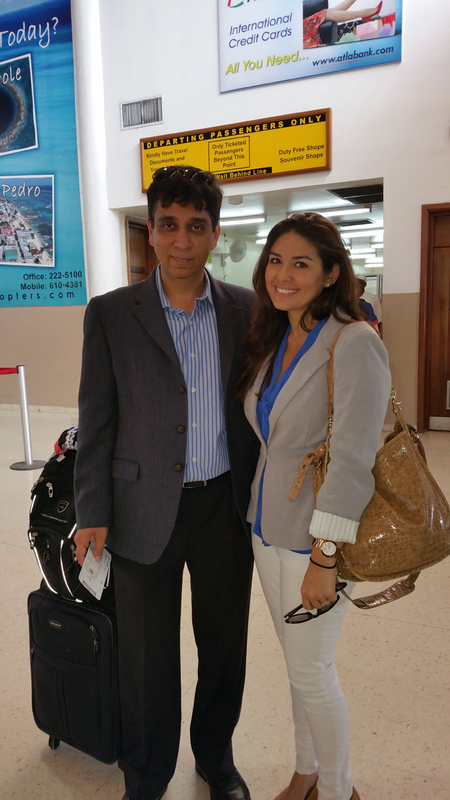 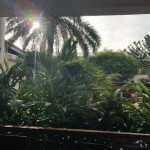 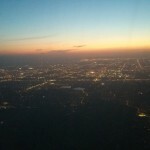 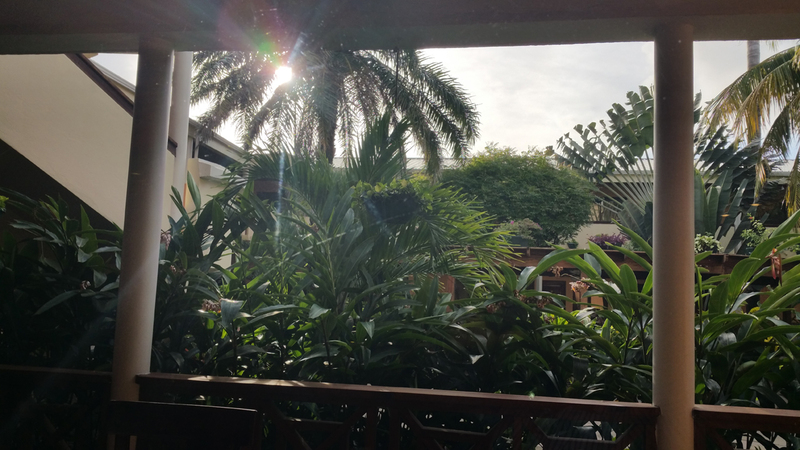 Flying from John Wayne Airport on a delayed flight, Dr Raj managed to catch the connection to Belize City at Houston, even though it was only 20 minutes of time in between the two flights. 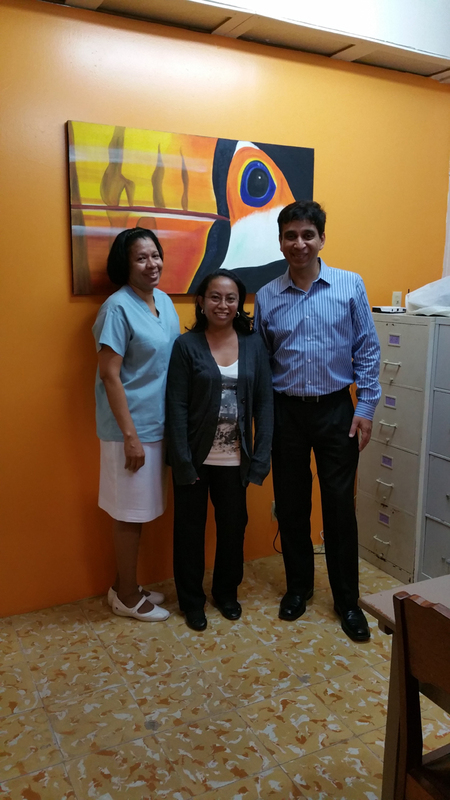 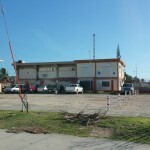 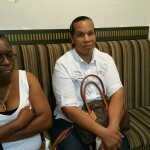 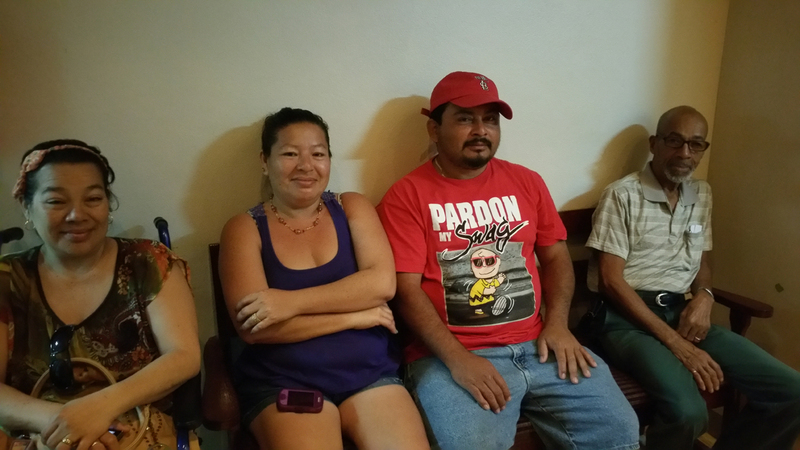 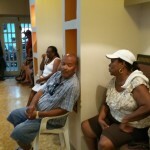 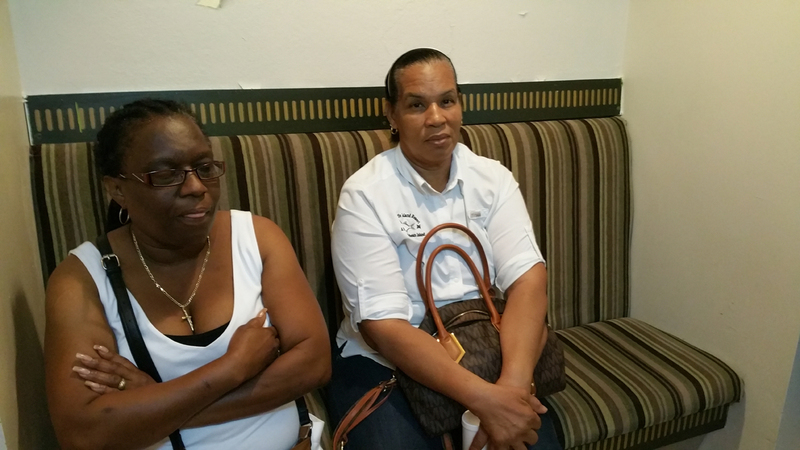 He was concerned about a patient of ROP who was being kept ready for an exam soon after his arrival in Belize. 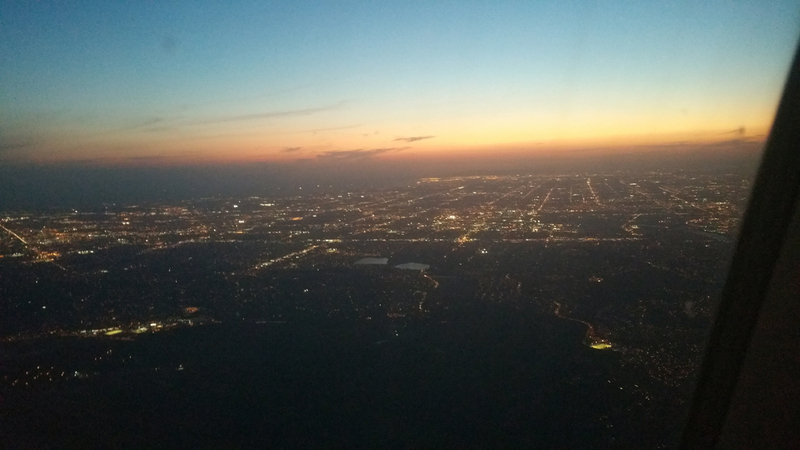 Landing at the Philip S.W. 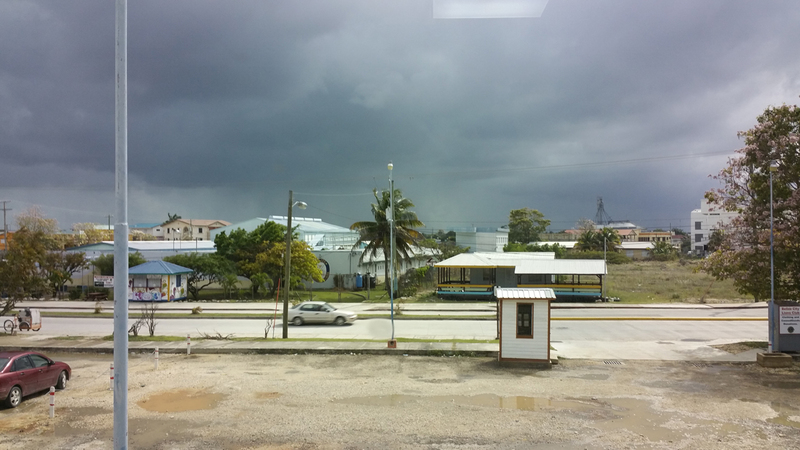 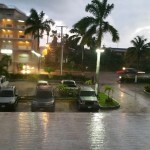 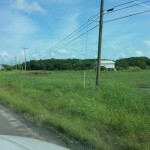 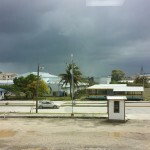 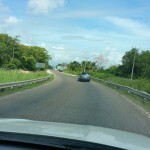 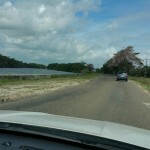 Goldson International Airport around 3pm, Dr Raj was received at the airport by Ms Joan Musa. 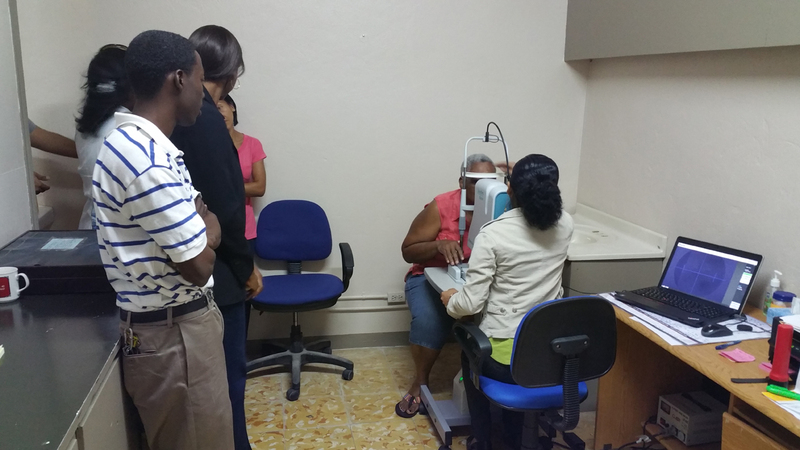 They drove to BCVI's National Eye Clinic, which is adjacent to the Karl Heusner Memorial Hospital. 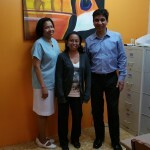 Set in a nice compact building, the clinic is painted in beautiful colors on the inside, with some appropriate decor. 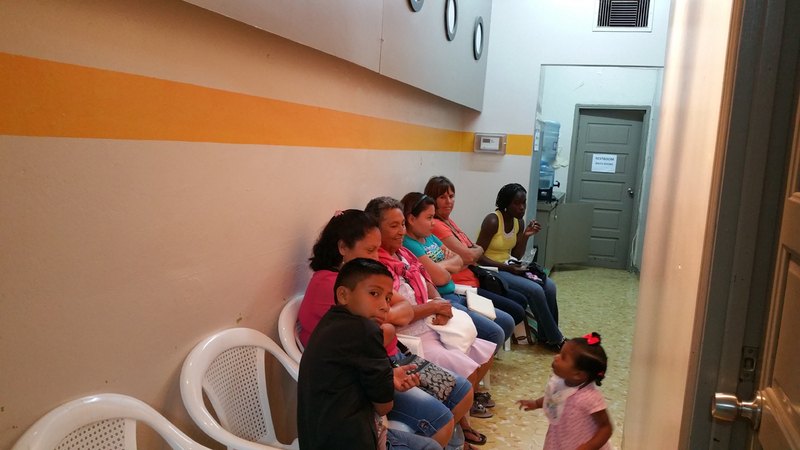 The mother of the patient with ROP had called in to say she would not be able to reach tonight and hence was coming the next day, which gave time for Dr Raj to tour the premises and meet with some of the staff that day, as well as discuss the various programs of the organization. 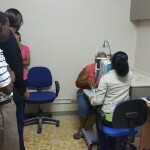 The next day, most of the staff of BCVI from around the country has been called in for discussions on patient management, as well as on the screening program for diabetic retinopathy that has been on-going program between Retina Global and BCVI since some months. 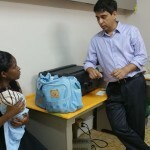 The program utilizes the 3nethra cameras made by Forus Health, India. 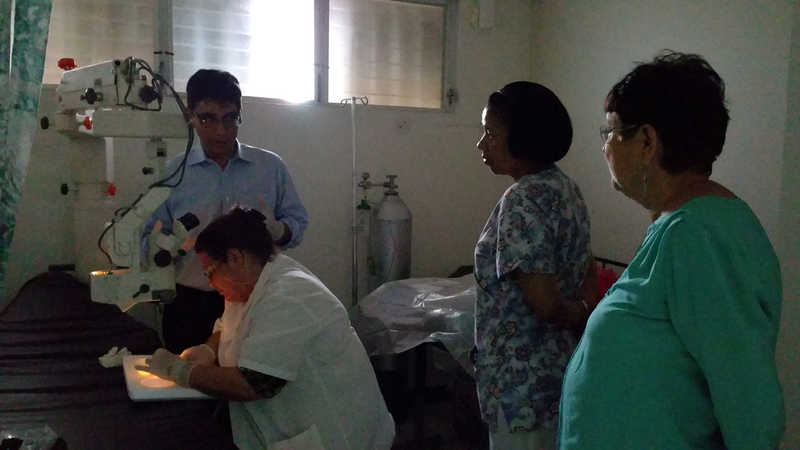 The morning was spent in giving hands-on training on the use and evaluation of the images from patients with diabetic retinopathy. 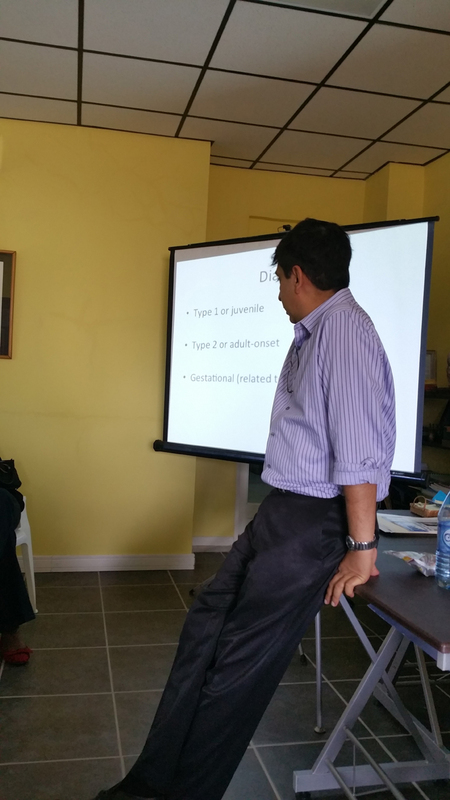 Following lunch, Dr Raj gave a lecture to the staff about retinal diseases in general and diabetes and diabetic retinopathy in specific. 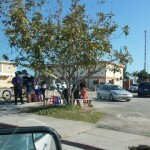 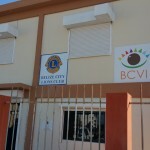 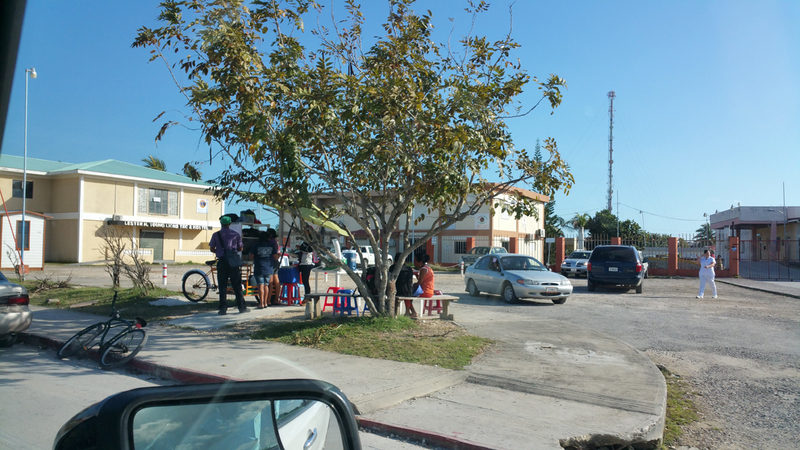 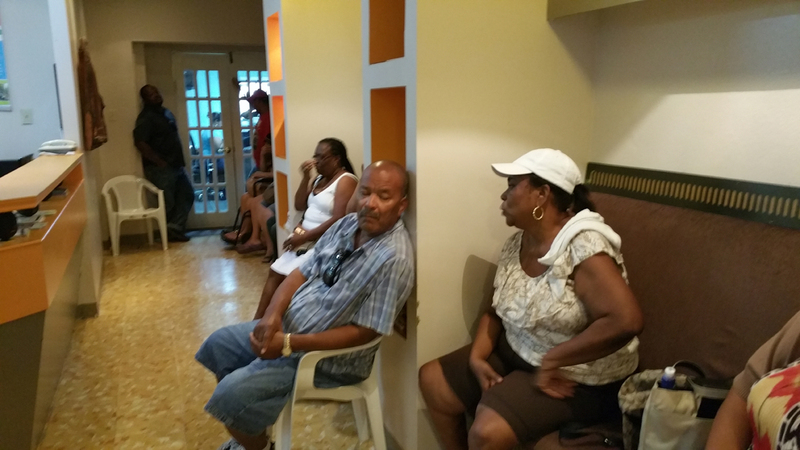 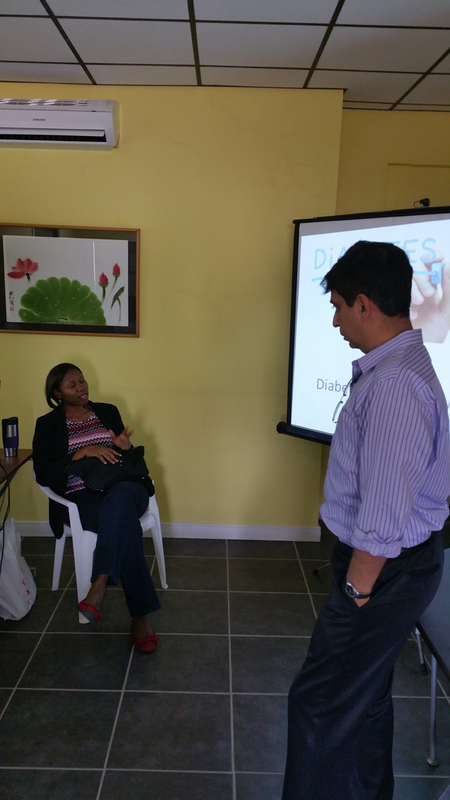 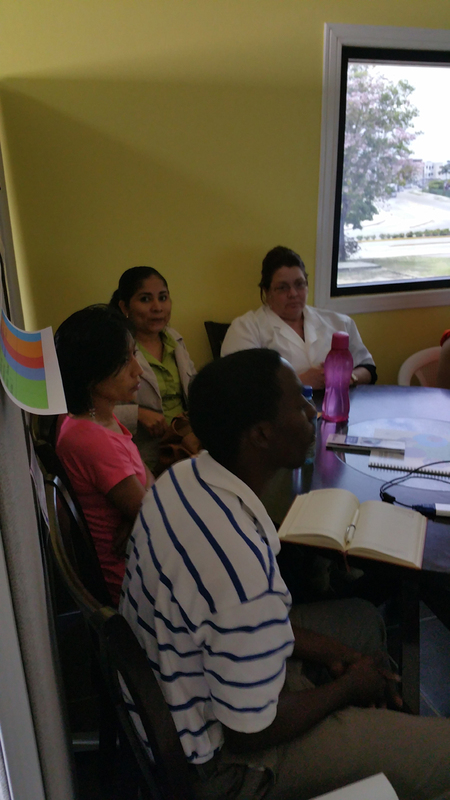 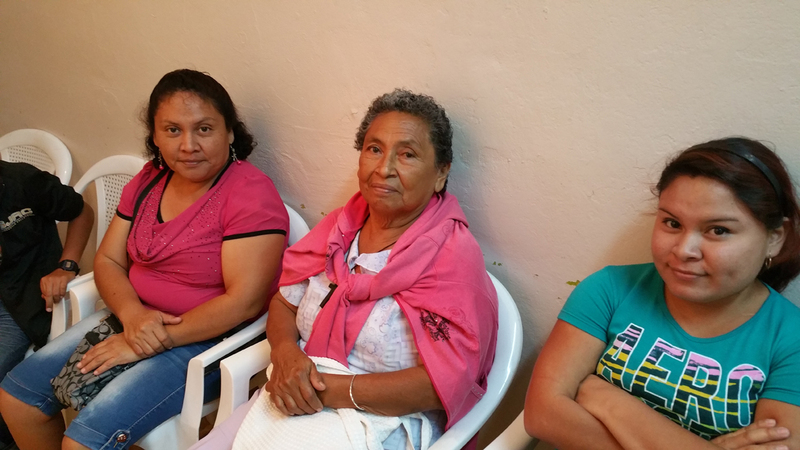 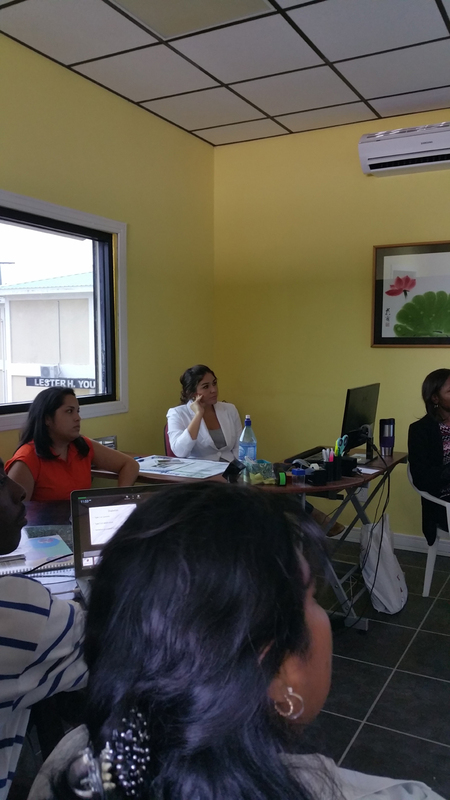 With a significant population affected by diabetes in Belize, BCVI's clinics tend to see a lot of diabetic patients. 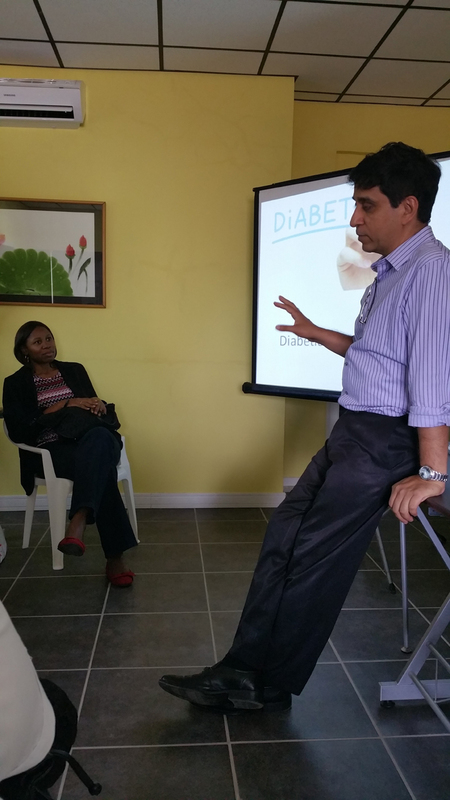 Q&A followed the talk, where Dr Raj answered any queries from the staff about diagnoses and management of the patients they see in their clinics. 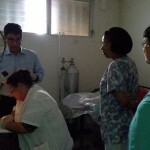 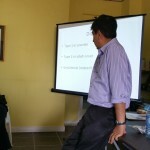 The third day, Dr Raj was in the clinic where he evaluated patients in the clinic most of the day. 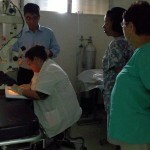 Most of these patients had been seen before and asked to come back for his visit. 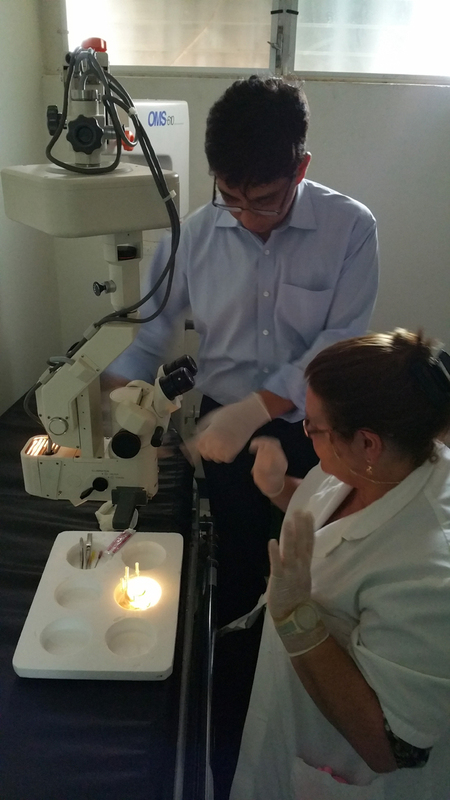 A significant number of patients had diabetic retinopathy in various stages, though most of these patients showed vitreous hemorrhage and/or high-risk NPDR requiring laser treatment. 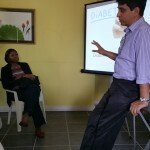 Most patients appeared not to take good care of their diabetes, and were overweight. 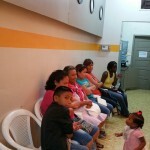 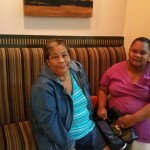 Some of these patients also had strong family history of diabetes as well. 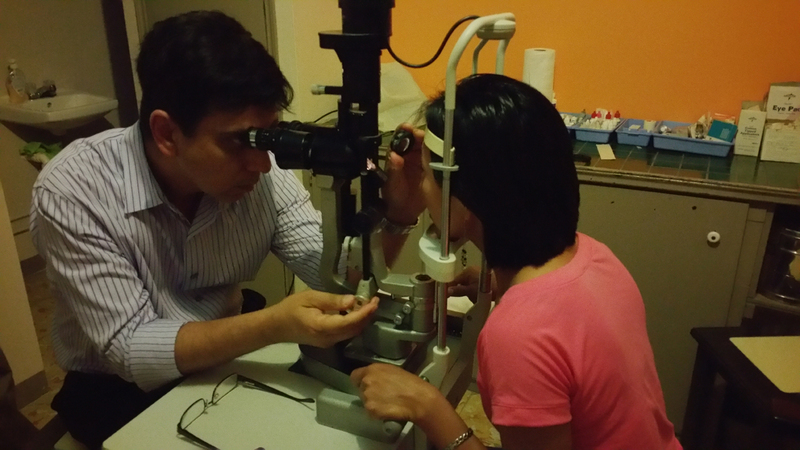 Other diagnoses during the clinic varied from vascular occlusions to macular holes and retinitis pigmentosa, etc. 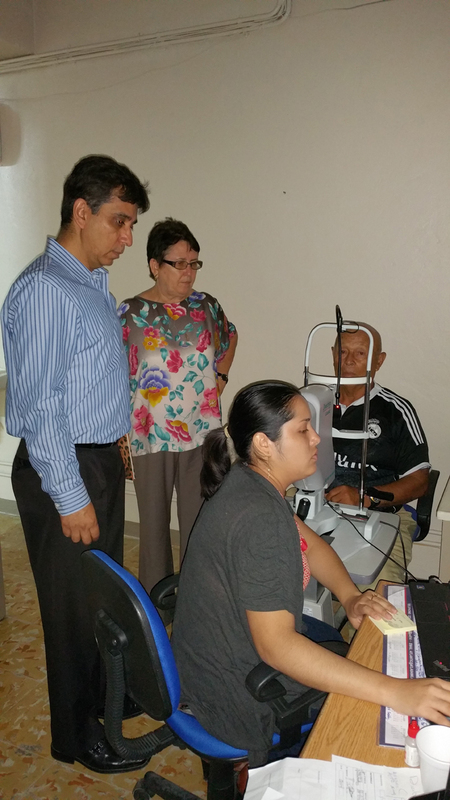 One of the retinitis pigmentosa patient had a dual Canadian citizenship, and she has been referred as a possible ARGUS-II patient in Toronto or Vancouver. 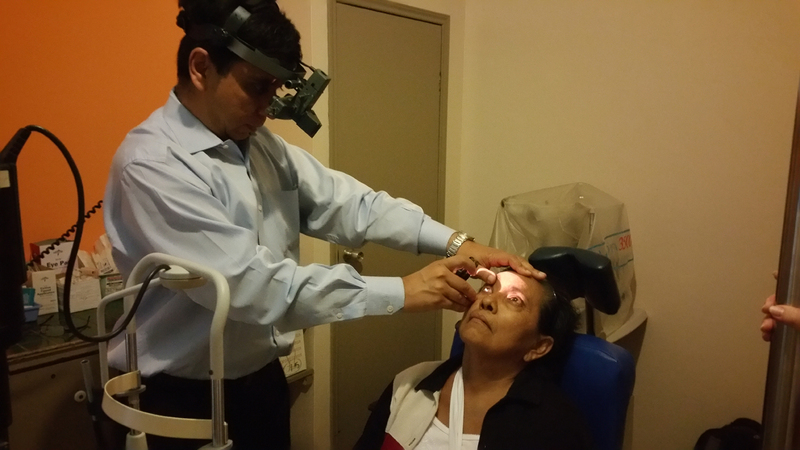 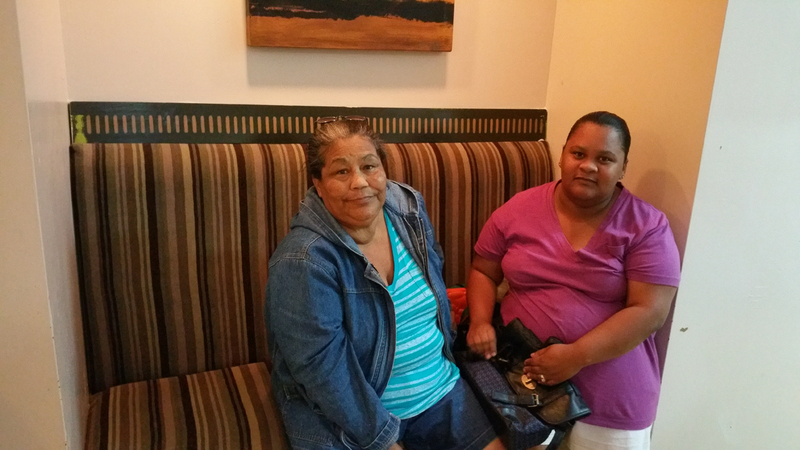 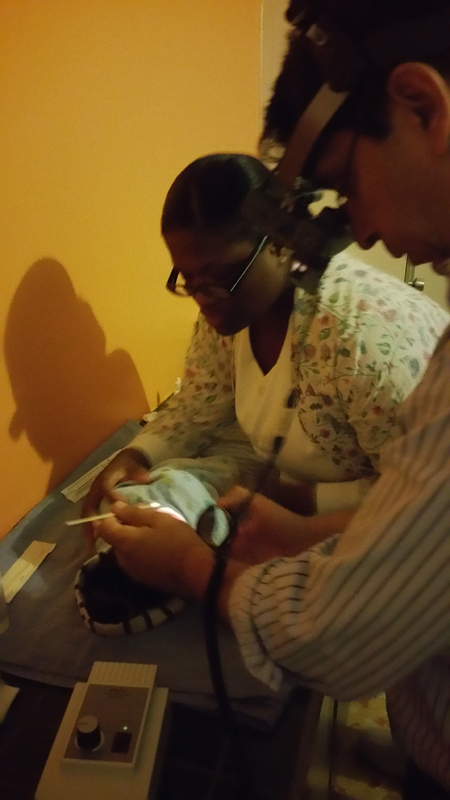 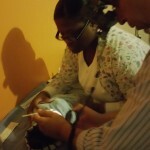 After a busy day in the clinic, the patients who needed laser were all asked to come for laser after the clinic. 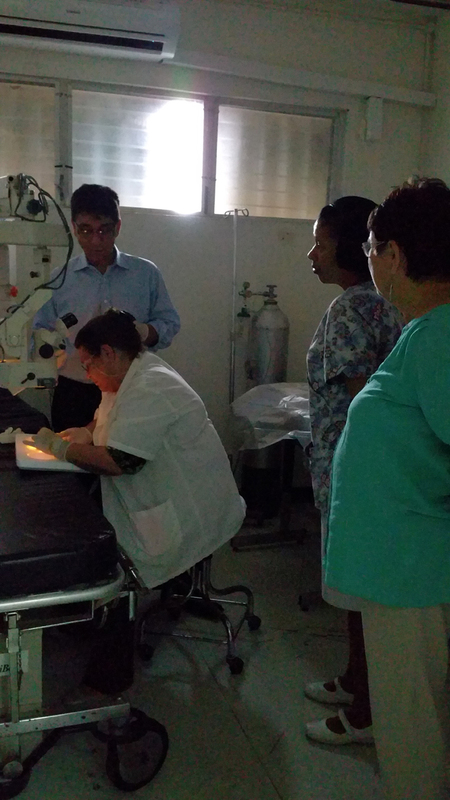 Since an indirect laser facility was not available, laser was to be done on slit lamp with an IRIDEX® laser delivery system. 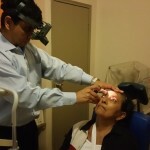 Unfortunately, due to lack of adequate lenses, and with no availability of indirect laser delivery system, the patients were asked to come back later for laser. 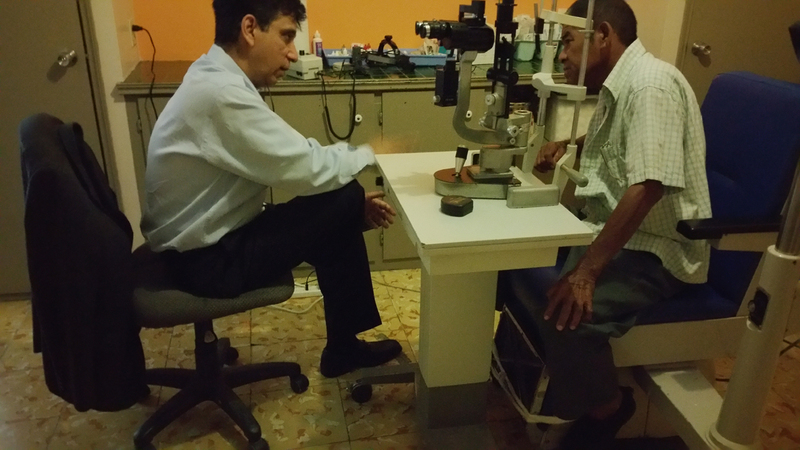 Later, Dr Raj supervised Dr Perez, who is an ophthalmologist from Cuba and works at the National Eye Clinic, for surgical training in a wet-lab created specifically for this purpose. 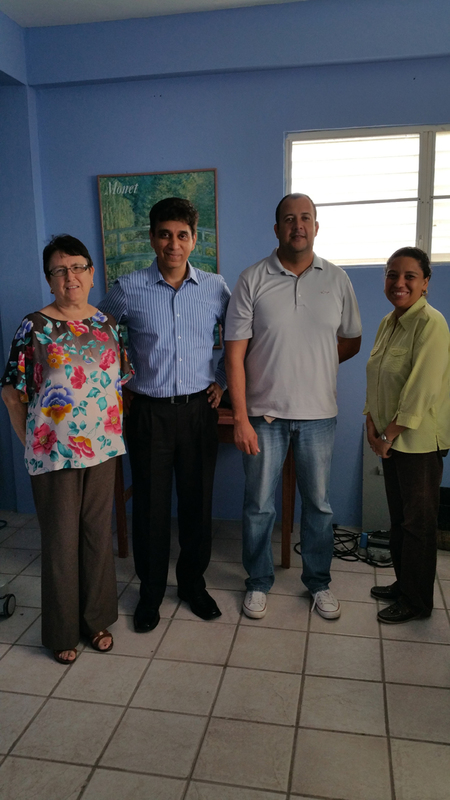 He also sat down with Ms Joan Musa, Ms Carla Musa and Mark Mitchell, who is the IT lead at BCVI, to discuss about organizing a clinical trial and to maximise the outcomes from data collection from the patients seen in the various clinics of BCVI. 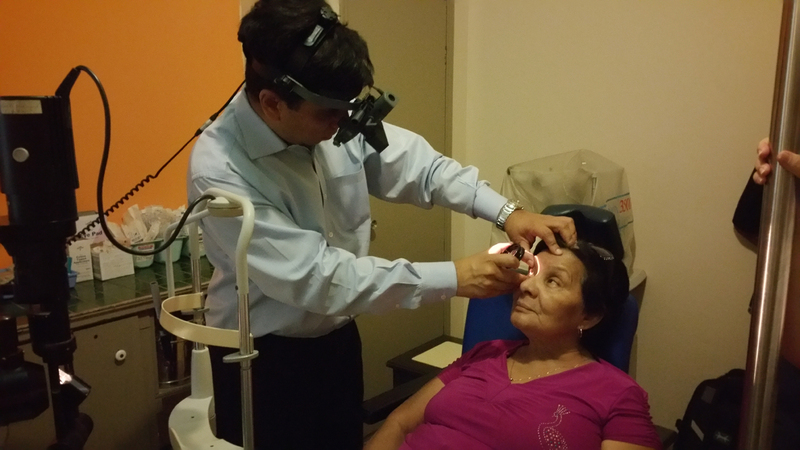 The last day, with about an hour available, Dr Raj conducted discussions on the measures that could be taken by Retina Global in providing BCVI with regular retinal cover for the many patients in the country. 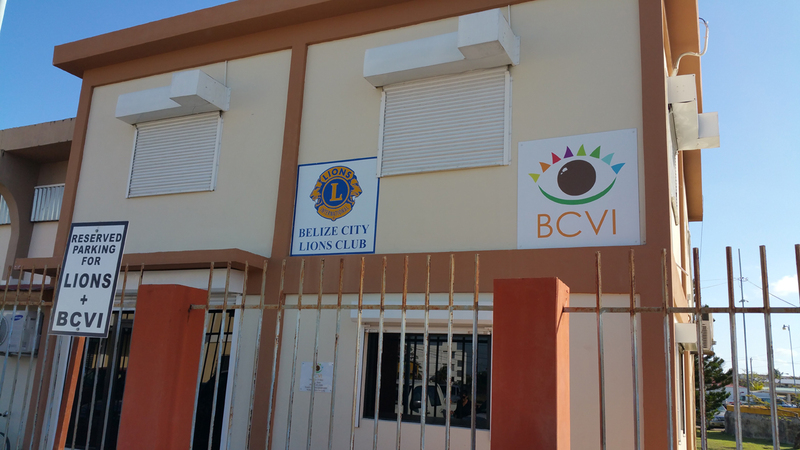 He also met with Dr David Hoy, who is a practicing ophthalmologist in Belize City, and who provides cover to BCVI when they need help. 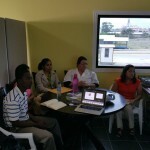 Following this meeting, Dr Raj got dropped at the airport and he flew back to LA area, with a promise that he will be returning to Belize soon for more clinical work. 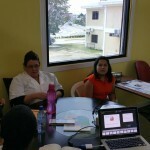 Ms Joan Musa, Executive Director, BCVI, speaking about Dr Raj's visit to Belize. 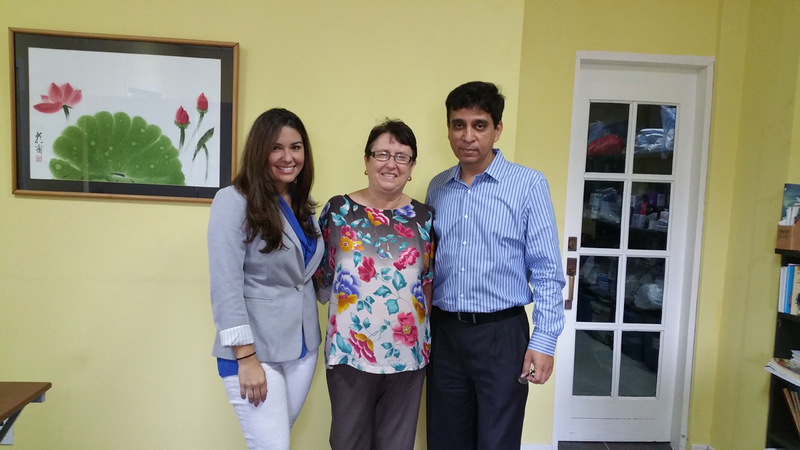 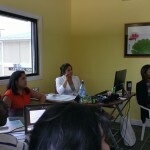 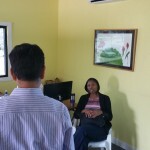 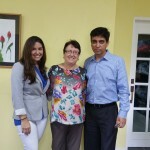 Ms Carla Musa, Deputy Executive Director, BCVI, talks about Dr Raj's visit to BCVI & Belize. 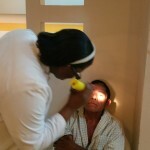 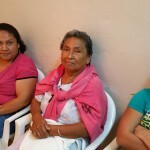 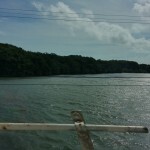 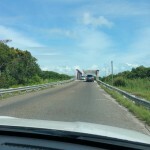 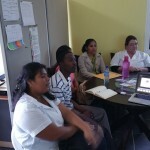 Posted in Retinitis Pigmentosa, Retinopathy of Prematurity, Uncategorized and tagged Belize.